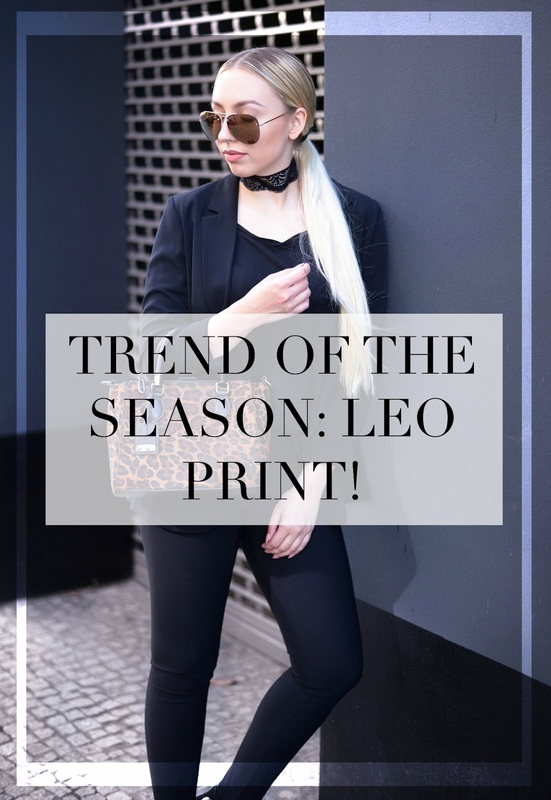 TREND OF THE SEASON: LEO PRINT! I honestly never really was a huge fan of anything leo printed, but since the new season has begun I've been seeing more and more leo printed things around and really started to like it. I'm not quite sure if I would be ready for leo printed clothing, but bags and accessories in leo print definitely caught my attention lately! There is nothing better than a fun printed bag for an all black outfit. I love how the leo bag makes the whole look so special and eye-catching. It such a great key piece for any simple look. I always love a lil leo print! Your look is so stunning and i think leo with all black or a little red is the perfect combo anyway! You look ahmazing, Vanessa!